Each year, contest receives more than 10,000 entries from all over the world — proving that there is no shortage of wretched writers vying for acclaim. 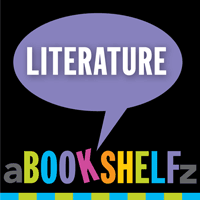 The contest now has several subcategories, including adventure, crime, romance, and detective fiction. The winner gets bragging rights for writing the worst sentence of the year and a modest financial award of $150 — presumably for writing lessons. Mark McGivern (Albert Lea, MN): As James King, detective in the Queens branch of the NYPD stared at the rooks pecking at the disheveled corpse of Bishop Robert Knight in the alley behind the pawn shop, he checked for his mates. Matthew Pfeifer (Beaman IA): Old Man Dracula forgot to put his teeth in one night, and so had to come home hungry, with a sort of “nothing dentured, nothing veined” look on his face. This entry was posted on Thursday, November 19th, 2015 at 8:51 AM	and tagged with bulwer lytton contest 2015, bulwer-lytton contest winners, contest for worst sentence, phrases by bulwer lytton, who wrote a dark and stormy night, worst sentence ever, worst sentence of all time and posted in Literature, Trivia. You can follow any responses to this entry through the RSS 2.0 feed.